Mahindra Aura – Live life king size with a style quotient! Mahindra Lifespaces is a well-known name with a brand corporate image. Their presentation called Mahindra Aura is yet another enviable destination indeed! 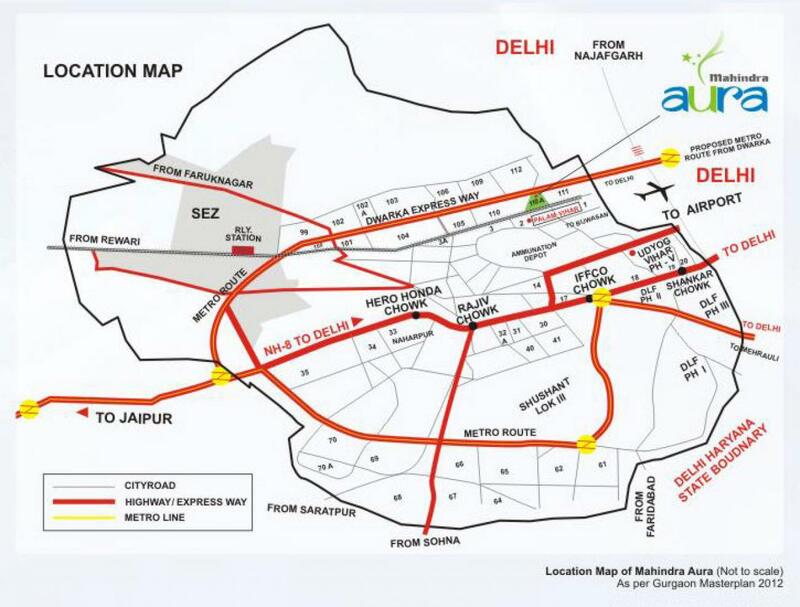 Set in the best location next to Delhi border, in Sector 110 along Dwarka Expressway, Mahindra Aura has proximity to the airport, Palam Bihar and even the Diplomatic Enclave as an unbeatable advantage! Add to that the quality of the developers and you got a winning combination! Spread along 17 acres, the projects consists of 4 BHK apartments that are smart and elegant. Most of the homes are ready to move into, as the project was planned in four stages, and some part is yet ongoing. There are 11 towers wit 18 floors each, thus there are a total of 799 habitable heavenly abodes. The Mahindra Aura price starts at Rs 1.67 Crs. The luxurious lifestyle of its residential beckons you too! There are a host of amenities and features that are crafted to inculcate a feeling of living in a resort. The best part is that the project has around 80% open space, so freshness is the very soul and essence of the campus! Then there is a dedicated play area for children, a well-equipped clubhouse, a meandering jogging track, a refreshing swimming pool, wheelies delight in a special skating rink, an amphitheater for showcasing the performing talents of the residents or as happy places to celebrate joyous occasions, and even a meditation garden inside. There is ample car parking and even the facility for convenient shopping. Manicured lawns, security and a blissful ambience greet you always! Life is all set to become a celebration at Mahindra Aura Gurgaon! Click heels with the well-educated and well-positioned crème gentry… come be a part of this vibrant community!